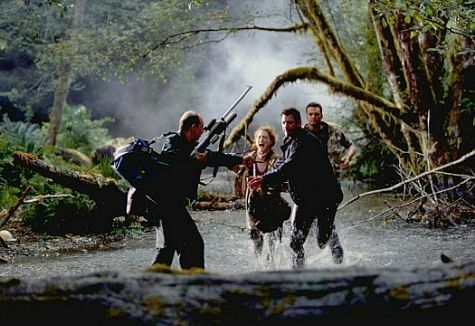 Jurassic Park III is a film with little to no story - it simply sees Alan Grant from the first film stranded on Isla Sorna, the second dinosaur island, with a bunch of other nobodies while they search for their missing son. The classic Tyrannosaurus rex villain is replaced by the Spinosaurus aegyptiacus - a decent attempt at variety, but one that's just poorly executed. The film is literally 85 minutes of running from dinosaurs that want to do nothing but kill the human characters - at least in the original film the dinosaurs behaved like animals, with their sheer size and power being the primary fear factor. Here, the Spinosaurus ignores the world around it in favour of chasing and trying to feast on these meaningless humans, creating an onslaught of forced action sequences. The special effects are impressive, but the script is pretty dreadful; there's an abundance of plot holes, no thought injected into the narrative, and the end result a lacklustre movie at it's very best. For me, The Lost World is possibly Steven Spielberg's worst film - much as in Jurassic Park III, the unique premise of the original is malformed into that of a generic monster movie. 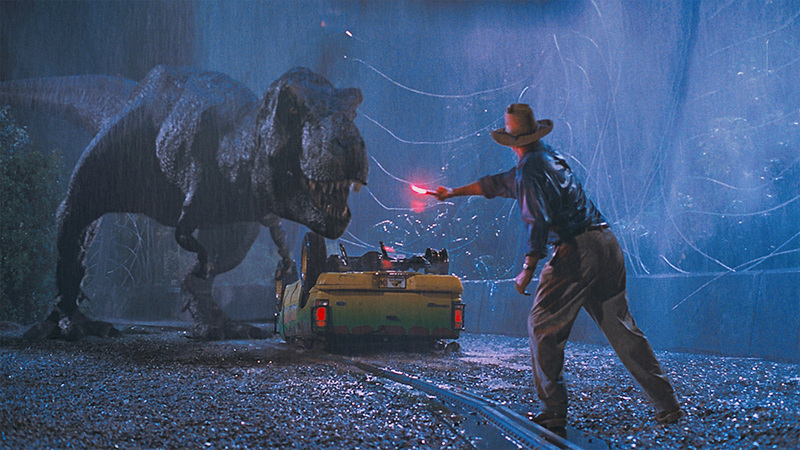 The dinosaurs want to do nothing but kill the protagonists for seemingly unknown reasons - there's no tension, no slow burning structure, and nothing else that made the original movie such a memorable piece of cinema. To top that off, Jeff Goldblum delivers one of the most appalling performances in his entire career; he's bland, uncaring, and totally uninterested in his character, and the supporting cast do not fare much better. Nothing about this movie truly shines aside from the occasional epic action scene, notably the climactic rampage of the Tyrannosaurus throughout San Diego. Otherwise, it's naught but a disappointment. Everyone expected Jurassic World, the first installment to the series in nearly 15 years, to be a massive hit; but not quite like this. Acquiring the records of the largest opening weekend both domestically and globally, and earning $1 billion just two weeks after release, the film has clicked with audiences more so than anyone could've imagined - and these accolades don't go undeserved. It's not without moments of corny dialogue and unnecessary humour, but Jurassic World transcends these flaws with some gripping action sequences, superb performances, and some excellent if imperfect special effects. The climax alone makes it worth a watch, and is easily one of the most gripping set pieces I've seen in a recent film. At last, the original film has a worthy successor. 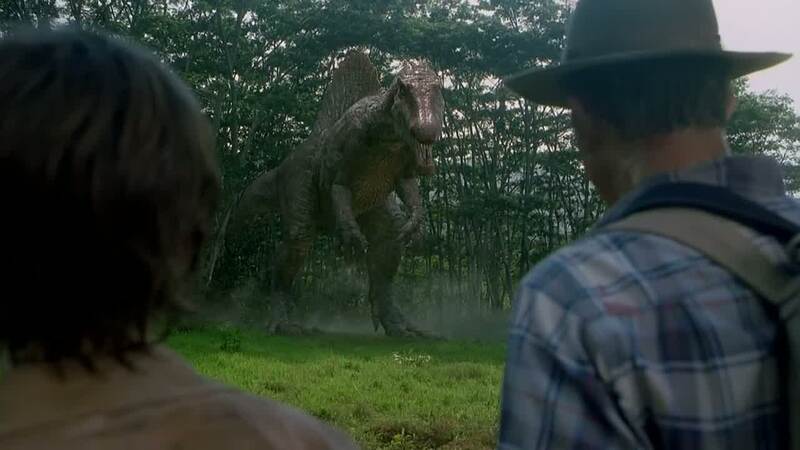 Whenever I watch Jurassic Park's classic Tyrannosaurus breakout scene I just sit and wonder: how the hell was this film made in 1993? Not only is the film a masterful demonstration of revolutionary CGI and animatronics, but it's also an ambitious adventure with the perfect balance of thrills and fun. 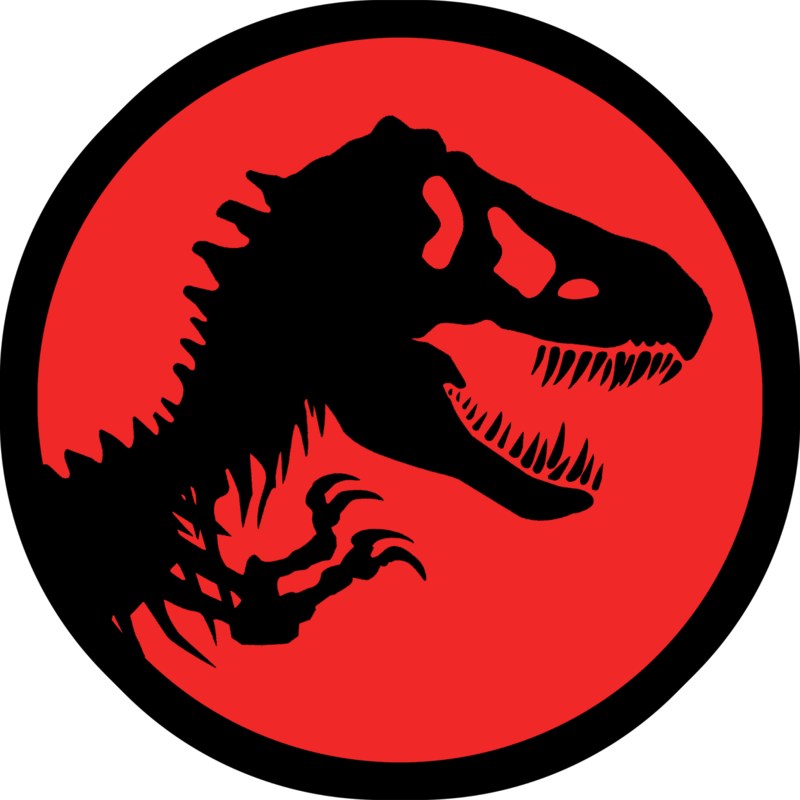 There's numerous other blog posts where I've talked about this film, be it my Jurassic World review or my ranking of $1 billion grossing films, so I won't continue to repeat myself; Jurassic Park ranks as one my favourite films of all time, and is, crucially, one of the most important watersheds in the entire industry. Anyone who hasn't seen it is, in my eyes, a genuine criminal.